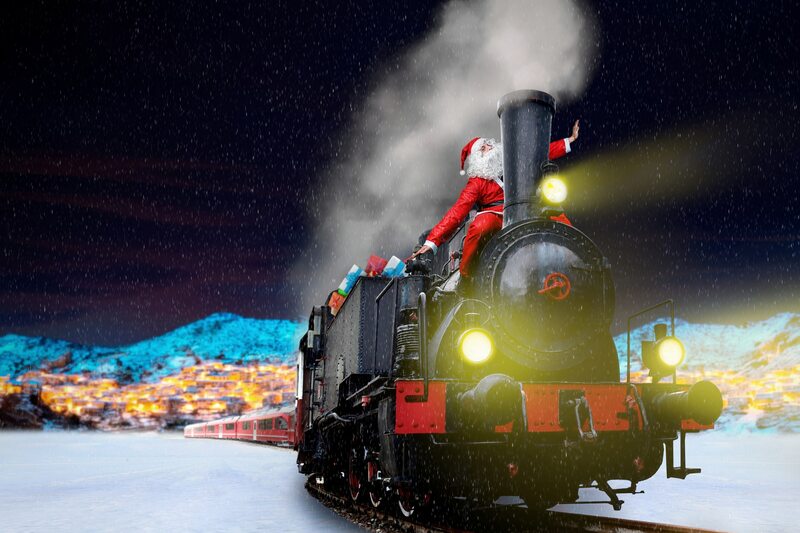 Holiday Event- This 90-minute round-trip ride to the “North Pole” includes hot cocoa, Mrs. Claus’ chocolate-chip cookies and a special gift from Santa. Tickets are $40 for adults and $25 for children. Visit the Heber Valley Railroad website for departure times and more information. 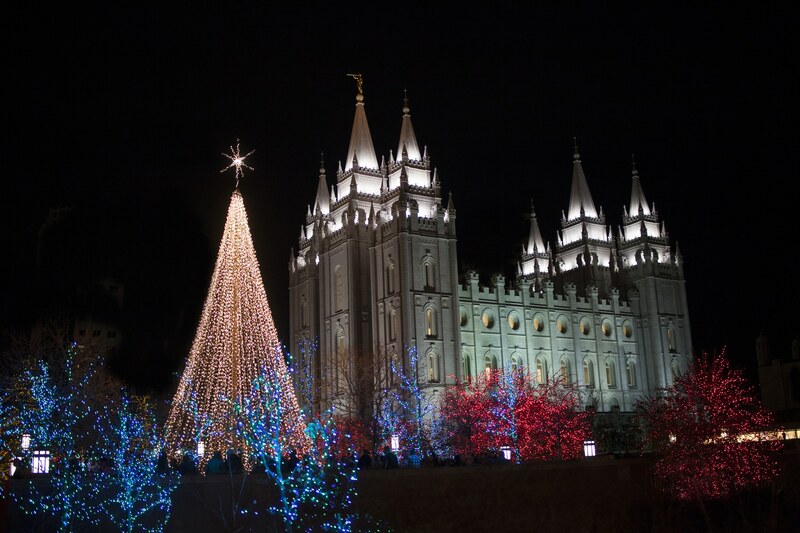 Holiday Event- The Christmas lights at Temple Square in downtown Salt Lake City will be illuminated until Jan. 2. The lights will be on 6-7:30 a.m. and 5-10:30 p.m. daily. The lights will be on until 11 p.m. during the Tabernacle Choir at Temple Square concerts, and on New Year’s Eve they will be on until 12:30 a.m. at Temple Square and until 1 a.m. at the Church Office Building, Main Street and Conference Center Plazas. Find more information here. Holiday Event- This musical drama about the birth and resurrection of Jesus Christ is based on the scriptural account. Weekly performances are Tuesday through Saturday at 7:30 p.m., with matinees on Saturdays at 2 p.m. at The Church of Jesus Christ of Latter-day Saints Conference Center Theater. Tickets are $10 and can be purchased here. Holiday Event- The Ashton Gardens at Thanksgiving Point come alive for the Christmas season with thousands of twinkling, sparkling and color-changing lights that will be on through Jan. 5. The mile-long walk features 6,500 programmable lights at Thanksgiving Point, 3900 N. Garden Drive, in Lehi. Admission is from 5-8:30 p.m. Monday through Saturday. Find more information about ticket pricing here. Holiday Event- More than 1.5 million Christmas lights are synced with holiday music in this annual display in Provo and South Jordan. You can visit either the Provo Towne Center Mall or the Salt Lake County Equestrian Center in South Jordan. It’s open from 5:30-10 p.m. Monday through Thursday and 5:30-10:30 p.m. on Friday and Saturday. Tickets are $25 per car on weekdays and $30 on weekends. Find more information here. Holiday Event- This 25-minute boat ride takes people past thousands of lights reflecting off the water of the Provo River and features Christmas music and visits from Santa. Tickets are $8 per person. Find the schedule and more information here. Holiday Event- The Hale Center Theater, 225 W. 400 North in Orem, is staging the classic Christmas tale. Tickets start at $25, and children ages 4-11 get $6 off the ticket price. Purchase tickets here. Holiday Event- More than 200 animal and holiday-themed light displays will be illuminated at the zoo for their 12th annual display. Tickets are $9.95 for adults and $7.95 for kids. Find more information here. Holiday Event- Celebrate the holiday season with drive-thru holiday lights at Willard Bay State Park, 900 W. 650 North, in Willard. Enjoy holiday music, food and more. Enhance your experience with 3D snowflake glasses. There’s also visits from Santa each Friday-Monday. Admission is $10 Tuesday-Thursday, $15 Sunday-Monday and $20 Friday-Saturday. Find more information here. Holiday Event- Spanish Fork’s Canyon View Park, 3300 E. Powerhouse Road, will be illuminated through New Year’s Day. The cost is $8 per car, and it's open daily from 6-10 p.m. Find more information here. Holiday Event- Christmas Village will illuminate Ogden's downtown area with displays and holiday lights through New Year’s Day. Spectators find themselves in a dazzling winter wonderland set aglow with Christmas lights and a setting of cottages modeled after Santa's village at the North Pole. The lights are on at Christmas Village from 5 p.m. to midnight every night and admission is free. Find more information here. Holiday Event- Pond Town Christmas features Christmas lights and decorations in Knoll Park around Salem Lake, 200 W. 300 South. The lights will be on from 5:30-11 p.m. each night, and admission is free. Find more information here. Holiday Event- Christmas at the Homestead will be held from 5:30-8 p.m. at Frontier Homestead State Park Museum, 635 N. Main St., Cedar City. Admission is $5 per family. The Holiday Market will add to the celebration on Dec. 7 from 11 a.m. to 8 p.m. and Dec. 8 from 9 a.m. to 3 p.m. Admission to the market on Friday is included in the Christmas at the Homestead admission price. On Saturday, the cost is $1 per person. The celebration will feature lights, Santa, specialty Christmas trees and free hot chocolate, popcorn and other surprises. Live entertainment will be featured at 6 p.m. and 7 p.m. every evening, and hands-on crafts will be available from 5:30-8 p.m. Find more information here. Holiday Event- Children ages 3 and up are invited to come in their pajamas and join Santa and Mrs. Claus for a special storytime at University Place, 575 E. University Parkway in Orem. Tickets are $15 per child (age 3+) and include a children’s meal, free picture with Santa, crafts and a commemorative gift. Tickets must be pre-purchased on Eventbrite or with cash for $10 at customer service prior to the event. There is a limit of 50 tickets per night. Find more information here. Holiday Event- Check out Old English shops, hundreds of period costumes, fortune tellers, royalty and the “real” Father Christmas at the Dickens Christmas Festival. The festival takes place at the Mountain America Expo Center (formerly known as South Towne) at 9575 S. State St. in Sandy. It will be held from 10 a.m. to 9 p.m. each day. Find more information here. Holiday Event- Helper’s annual Christmas festival includes a chili dinner, electric light parade, breakfast with Santa and fireworks. Find a full schedule of events and locations here. Holiday Event- Gifts made by 19 local artists — including jewelry, pottery, fiber art, glass and photography — will be available at this event. Admission to the garden will be free from 10 a.m. to 5 p.m. on both days. Find more information here. Holiday Event- See performances of this Christmas-themed play in Murray, St. George, Cedar City and Orem on certain dates between Dec. 10-22. Find a full schedule and purchase tickets here. Holiday Event- Kids can learn about the Winter Solstice, create winter crafts, explore winter in the garden and make solstice wishes to usher in the new year at Red Butte Gardens, 300 Wakara Way in Salt Lake City from 9 a.m. to noon. Find more information here. Holiday Event- The Larry H. Miller family presents this free holiday celebration. The event will feature performances by the Bonner Family. Doors open at 6 p.m. and the event starts at 7 p.m. Find more information here. Holiday Event- The Jelly Belly Fun Run will be from 10 a.m. to Noon at 1281 Warm Springs Road in Midway, with the start and finish lines at the Pine Creek Campground Office. Admission to the event is free, but donations are accepted. All donated items and proceeds will go to Community Action Services and Food Bank, which serves people in Utah, Wasatch and Summit counties. More information can be found here. Editor's note: The article previously said the Vivint Sing-Along event was on Dec. 12, but that information was from a past year. It has been updated to reflect that the event will be held on Monday, Dec. 17.